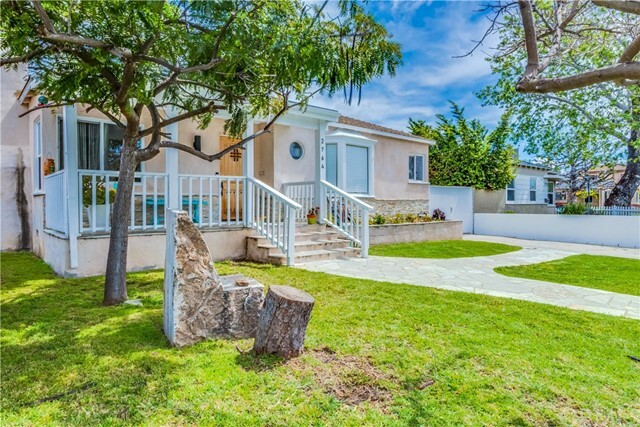 All West Los Angeles homes currently listed for sale in Los Angeles as of 04/18/2019 are shown below. You can change the search criteria at any time by pressing the 'Change Search' button below. "Come home to this beautiful, newly rebuilt farmhouse beaming with character in the heart of West LA. Relish your favorite meals in the gourmet kitchen with honed Carrera quartz counters & backsplash. Wolf stainless steel appliances, SubZero fridge, farmhouse sink, eat-in center island all seamlessly flows to the dining space. Accented by built-ins, fireplace with reclaimed barn wood mantle and accordion doors allowing for an indoor/outdoor feel. Unwind in the master suite with vaulted ceilings, warm fireplace, grand walk-in closet and bath with dual sink vanity, make-up vanity, soaker tub and glass shower. An entertainer's dream, the expansive yard features Bluestone BBQ slab & firepit, romantic cafe lighting, built-in seating and ample space for dining or lounging al fresco. Additional features include sophisticated guest rooms, wide plank naturally aged oak floors, Millard windows & doors, surround sound speakers, doorbell with cameras & motion detectors, electric car charger & more!" "This charming Mar Vista home w/ bonus ADU is centrally located for easy access to freeways, Santa Monica, Beverly Hills, Desirable schools, walking distance of shopping and transportation. This home has recently been upgraded and updated. Enjoy the peaceful tranquil neighborhood with its mature trees that line the street. Perfect place to walk or relax on the custom front porch. The main house features 3 bedroom 2 bath, marble counter tops in kitchen, grey oak flooring, open floor plan, all NEW PLUMBING/ELECTRICAL throughout, tankless water heaters, NEW HVAC, new roof and top of the line kitchen appliances. JUST ADDED shelving and wall for more storage/ better privacy. Master JUST ADDED a second closet! The ADU is a permitted on separate utilities, own address, one bedroom, one bath, full kitchen and living area. JUST ADDED private entrance from front and back. Perfect for rental or family. JUST ADDED oversized custom shed. Also just added extended wall for privacy." "Beautifully remodeled 3bd/2ba traditional home with great attention to detail and charm. Formal entry leads to an open floorplan that flows to a beautiful quartz countertop kitchen with a large island and stainless appliances. This bright home features re-surfaced hardwood floors, updated elec., central ac/heat, partial copper, dual-pane windows and tankless hot water. Detached garage offers a newly constructed 'permitted' bonus room with recessed lighting. The large covered patio overlooks a spacious landscaped grassy yard with water fountain, Hass avocado tree and multiple citrus fruit trees. Located near the top-rated Clover Elementary School District, convenient to freeways and the Expo-Line Station. A must see!" 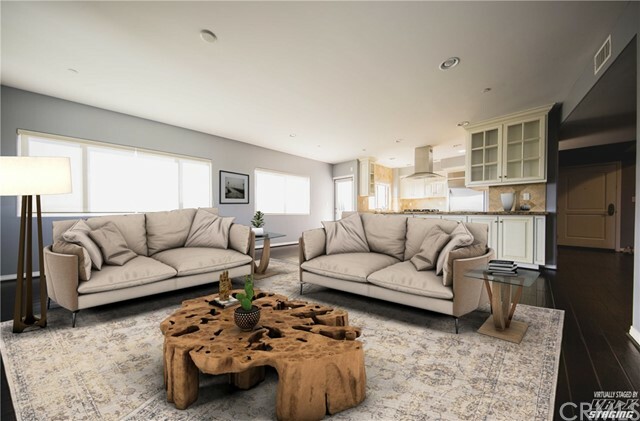 "This 3-bedroom 3-bathroom fully remodeled home offers an incredible open floor plan with modern elements to create a one-of-a-kind entertainers dream home. The living room connects with the kitchen and dining room in a unique open concept design with island and stainless steel appliances. This home features wood flooring throughout and large updated windows that fill the home with an abundance of natural light. The house wraps around the lush backyard and generates the perfect indoor/outdoor living experience. Additional features include dual paned windows, new roof, central heating and cooling, updated plumbing and electrical, and laundry room. This home has it all and is a must see! Located walking distance to restaurants, schools, train, shopping and more!" "Price Reduction.This beautiful 4-bedroom, 3-bath, two-story home is located in West Los Angeles. It's situated on 4569 Lot size (VN) with, 2358 Sq ft (VN). The Master Suite has: a balcony, walk-in closet, and a master bathroom with marble floors, double sink, separate shower and whirlpool tub. The living room has a fireplace; family room has sliding doors that lead to the outside garden. The flooring is hardwood, marble, custom tile, and carpet. The kitchen has: granite countertops, a breakfast/bar space, built in oven, range top, and dishwasher. This home also features: architectural windows with dramatic arches, high ceilings, lovely hanging chandeliers, custom drapes throughout the lower level, and shutters and blinds at the upper level. The garage is attached and enclosed. An added feature for convenience is an audio/video intercom system, which can be used to screen guest as they arrive. This home is shown by appointment." "A recently renovated two-bedroom home situated in one of the most up-and-coming neighborhoods in the City. An inviting living room and formal dining room showcase high ceilings and recessed lighting. The custom kitchen with marble countertops and pro-style appliances includes a breakfast area with seating area around a bay window. The master suite includes an oversized walk-in closet and boutique hotel-like bathroom with dual sinks. The second bedroom looks out on to a private yard with mature hedges and an open patio which extends to a two-car garage. Conveniently and centrally located to the freeways, the Expo line and One Westside, previously known as the Westside Pavilion, soon to be home to Google." "Location! Location! The best of what West Los Angeles has to offer. This Beautiful Gem gives you all the essence of living in the comfort of tranquilty without the hustle and bustle of the city line. Your welcomed to your home with a flagstone paved walkway, to a covered porch for those warm summer nights. The entrance of the home invites you to a open living space with original hardwood floor and a wood burning fireplace for those cozy winter nights. The Kitchen is a true entertainers delight that has been upgraded with complimented stainless-steal appliances, granite countertops and granite backsplash. There is a hallway that gives you access to bedroom #2,#3 and the Master suite and the main full bathroom. The main bathroom has been fully upgraded with a beautiful skylight and goregous new fixtures that are oil brushed bronze. Bedroom number three is a versatile room that you can use as a bedroom or an Office. This bedroom has access directly to the Kitchen and directly to the backyard. The spacious Master suite features a half bathroom that has been upgraded with new oil brushed bronze fixtures as well. The backyard gives you privacy for that peace of mind that's needed. Welcome to your new home!!!!" "Westgate is calling - complete with all of the creature comforts you need. From its super low maintenance landscaping and worry-free tankless water heater, to its two-car garage and freshly updated kitchen and bathrooms, this home has got it all - including sleek hardwood floors. Break down the cold, cramped quarters of dwellings past and embrace Westgate's spaciousness and warmth - picture perfect for those ever elusive family fun nights or for hosting your friends for a lit night of Cards Against Humanity - this home has you covered. Let go as you effortlessly flow from its welcoming entrance to the surprisingly over-sized ensuite master that comes equipped with a deep tub, walk-in closet, and backyard access. So why the wait? At the end of your LA day, don't you deserve the perfect space to relax, unwind and just be? It's time to come home." "You'll love this striking 2-story home that sits at the end of the cul-de-sac in West Los Angeles. With 3 bedrooms, 2.5 baths and an open floor plan, this home offers plenty of space to entertain. The first floor has a vaulted-ceiling, adding greater dimensions to the already spacious family room and dining room. The kitchen has all new appliances and courses to a lower second family room/den. The second floor boasts the master bedroom - as well as, the two other large bedrooms. The back-yard is outlined by greenery and contains a covered patio. Special features include an attached two-car garage, great space, and storage in the laundry room and a fireplace. You don't want to miss this gem!" "Charming 3 bedroom and 2 bathroom home on a wide, beautiful tree lined street in a great West LA location! Updated kitchen with dining area, granite counters, custom cabinetry, stainless steel appliances and tile floors. Huge master bedroom suite with a completely updated master bathroom, walk in closet and access door to the backyard. Also features hardwood floors throughout, central heat & A/C, 2 car garage, bonus 18' x 18' studio room behind garage and more! Square footage of 1,608 sq ft includes main house of 1,284 sq ft plus 324 sq ft permitted room behind garage. Great location near the ultra-hip Sawtelle District, the new Santa Monica Expo line, Westwood-UCLA, the new Google Campus at the Westside Pavillion, Shopping malls, Beaches, Chic restaurants, Museums, and much more." "A Beautiful private garden provides an ideal backdrop for this updated Tudor style house. Exposed wood beams draw attention to the high ceilings as you enter. Dual pane windows flood the interior with natural light & allow you to enjoy views of the lush greenery surrounding the home. The dining room has a balance between formal & casual living. The updated kitchen features plenty of cabinets, granite countertops, & stainless steel appliances. A bathroom has been updated with subway tile & high-quality finishes. The detached two car garage has a permitted addition & can be refinished to meet your needs. 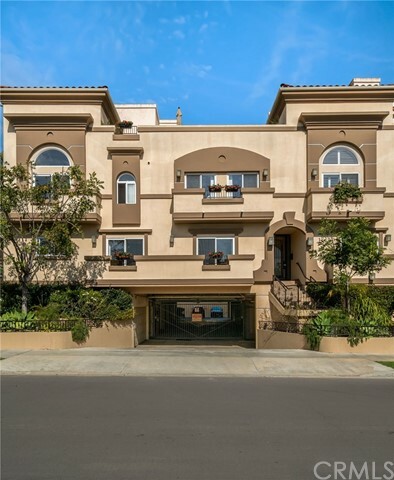 The central location of this home will allow you to enjoy everything the Westside has to offer. Contact us to schedule a private showing!" "1st time on the market in over 25 years this is the perfect West L.A. home you have been waiting for! Completely remodeled featuring 2 bedrooms and 2 baths, hardwood floors, recessed lighting, custom finishes and a cook's kitchen with great storage and counter space for the beginning cook to the more experienced chef. Great for entertaining small intimate gatherings or larger family events. Large back porch overlooking your spacious backyard, beautiful mature trees and a wonderful spacious detached studio or home office is a great bonus for any homeowner. There is a large garage, plenty of off street parking and lots of charm. New appliances, designer tile and touches throughout. Great location close to Santa Monica, Venice & Culver City good proximity to major freeways this is one of the best opportunities on the Westside."